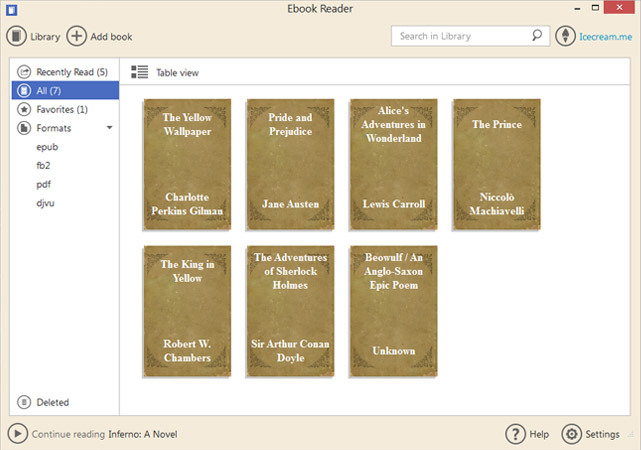 One of the best eBook readers for PC! 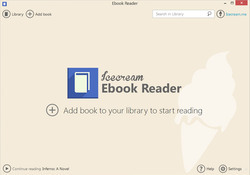 Icecream Ebook Reader PRO 3.10 was available as a giveaway on April 18, 2016! 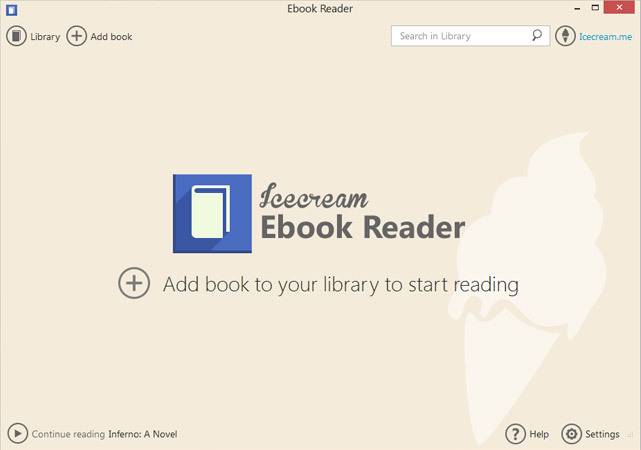 Icecream Ebook Reader is one of the best ebook readers for PC. 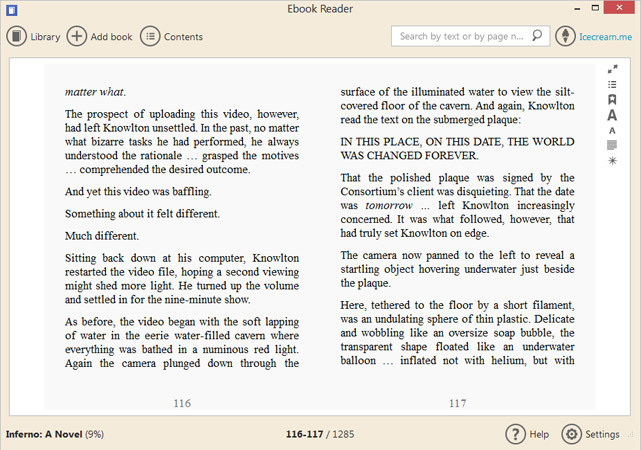 It supports all most popular ebook formats including comic book formats (EPUB, MOBI, FB2, PDF, CBR, CBZ). The main advantage of the program is that it is really easy to use but still has all the features needed for comfortable reading: full screen mode, 2­page mode, night mode, book search, tracking reading progress etc. 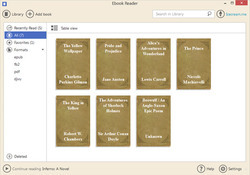 You can organize your ebook library efficiently creating categories you need and editing books' meta data (title, author etc). 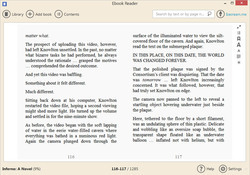 How would you improve Icecream Ebook Reader PRO 3.10? Have the reader read the book aloud. I had no problem with installation on win10 64. But I have problem with fonts. On screen I can see only one font and it is bold, what is very inconvenient. From list I can choose different fonts, but it give no effect on screen. I had no problem with installation on win10 64. But I have problem with fonts. On screen I can see only one font and it is bold, what is very inconvenient. From list I can choose different fonts, but it give no effect on screen. Installed easily on Windows 10 64 bit and functions as it should. I have given it a good try and then uninstalled it. My opinion is that it does not come close to Calibre, which I admit I am used to so that may have a bearing, but this programme gives me no real need to change. It seems to have far less file compatibility and flexibility and doesn't recognise or open many of the books that I have in my Calibre library. I rather thought a paid for programme would offer more than a free one, I'm afraid that does not appear to be so. Installed easily on Windows 10 64 bit and functions as it should. I have given it a good try and then uninstalled it. My opinion is that it does not come close to Calibre, which I admit I am used to so that may have a bearing, but this programme gives me no real need to change. It seems to have far less file compatibility and flexibility and doesn't recognise or open many of the books that I have in my Calibre library. I rather thought a paid for programme would offer more than a free one, I'm afraid that does not appear to be so. some of my books are displayed 90 degree tilted. The function of rotations are needed. some of my books are displayed 90 degree tilted. The function of rotations are needed. Unfortunately, I'm experiencing activation problems. Program shuts down when registering with activation code and pressing ''Activate''. I'm using Windows Vista. I'm not very impressed, and will continue to use calibre. Installed and licensed without issue. But hard crashes when adding a "folder" to its discovery of reading material. Then when sending a crash report to the mother-ship, it fails. I'm not very impressed, and will continue to use calibre. Installed and licensed without issue. But hard crashes when adding a "folder" to its discovery of reading material. Then when sending a crash report to the mother-ship, it fails. I tried to download this on a Windows 10 tablet and was unsuccessful. Kept getting the message "windows cannot complete the extraction. Destination file could not be created". Any suggestions? Cy, I get the same problem about half the time with stuff from this site. It thinks the .gcd file contains a virus. It is a false positive.Temporarily disable your antivirus software. 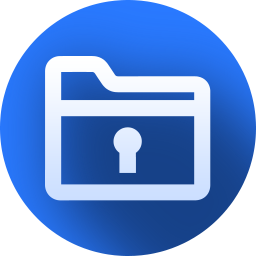 Input formats: AZW, AZW3, AZW4, CBZ, CBR, CBC, CHM, DJVU, DOCX, EPUB, FB2, HTML, HTMLZ, LIT, LRF, MOBI, ODT, PDF, PRC, PDB, PML, RB, RTF, SNB, TCR, TXT, TXTZ. Output formats: AZW3, EPUB, DOCX, FB2, HTMLZ, OEB, LIT, LRF, MOBI, PDB, PMLZ, RB, PDF, RTF, SNB, TCR, TXT, TXTZ, ZIP. 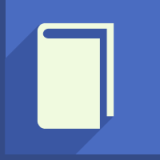 For some reason nobody mentioned calibre : https://calibre-ebook.com/ This fantastic free product is a reader and converter of : Input formats: AZW, AZW3, AZW4, CBZ, CBR, CBC, CHM, DJVU, DOCX, EPUB, FB2, HTML, HTMLZ, LIT, LRF, MOBI, ODT, PDF, PRC, PDB, PML, RB, RTF, SNB, TCR, TXT, TXTZ. Output formats: AZW3, EPUB, DOCX, FB2, HTMLZ, OEB, LIT, LRF, MOBI, PDB, PMLZ, RB, PDF, RTF, SNB, TCR, TXT, TXTZ, ZIP. Installed and activated Pro ok on Win 7 64U. Performance on this rather hot I7 machine surprisingly pokey reading PDF. Zoom took so long I didn't think it was working until the page jumped a few seconds after I thought it should. I was hoping for an effective search tool here and didn't find it. Searching the PDF on a variety of words I knew were in the document all came back with no returns. Zero - nada or not one. My needs on a console are for PDF only. I have a tablets for real reading so the combination of poor performance with no searching available makes this one a non-keeper here. Installed and activated Pro ok on Win 7 64U. Performance on this rather hot I7 machine surprisingly pokey reading PDF. Zoom took so long I didn't think it was working until the page jumped a few seconds after I thought it should. I was hoping for an effective search tool here and didn't find it. Searching the PDF on a variety of words I knew were in the document all came back with no returns. Zero - nada or not one. My needs on a console are for PDF only. I have a tablets for real reading so the combination of poor performance with no searching available makes this one a non-keeper here. On reading your comment I was really surprised, found the search to be very fast, almost instantaneous. Still a bit confused by page turning possibly because unable to register on this drive. Made me wonder the PDF file you're trying to search consists of images rather than text, obviously a search would not work if it was images. paul, On reading your comment I was really surprised, found the search to be very fast, almost instantaneous. Still a bit confused by page turning possibly because unable to register on this drive. Made me wonder the PDF file you're trying to search consists of images rather than text, obviously a search would not work if it was images. I can't account for our differences. In my case, the entire op of the app was pokey. Search yielded NO results. I'd have been ok with slow results of search but no results clinched it for me. Uninstalled. Salvia, I can't account for our differences. In my case, the entire op of the app was pokey. Search yielded NO results. I'd have been ok with slow results of search but no results clinched it for me. Uninstalled. Thanks for your reply, it really is strange the difference we are experiencing, in my 32-bit XP system the search is extremely fast. Won't register in my XP system where it would be useful, registers no problem in Windows 7 which is only for emergency use if XP becomes compromised. Earlier in the day I e-mailed the developers explaining some were having problems with activation but they didn't bother to reply. paul, Thanks for your reply, it really is strange the difference we are experiencing, in my 32-bit XP system the search is extremely fast. Won't register in my XP system where it would be useful, registers no problem in Windows 7 which is only for emergency use if XP becomes compromised. In my previous comment to it consisted of two parts, a factual part and a suggestion, apparently this is too complex for some people to understand and they marked it down. :-) Earlier in the day I e-mailed the developers explaining some were having problems with activation but they didn't bother to reply. Can you print selected pages with this? I don't want to print the whole book just 1 to 5 pages. From what I have read DRM needs to be removed to allow printing. I want an easier solution. Look up Screen Hunter Free on line. It is very to use and only print what you want one page at a time. When activated it will come as red cross hairs as you hold down the left mouse and move it to what you want to copy. I have mine set to desktop. Then just print. You will like it for a lot of things you want to print from one letter on up. Very self explanatory. Good luck. Thanks to all who offered help, tested on another hard drive with different OS and registration occurred without any problems. After pressing Activate a message came up saying it had been successful. Original installation was attempted in XP SP3 and this failed, the successful installation was in Win7. See Mariusz another XP user also had problems, so maybe it is XP causing the difficulty. Please don't tell me to upgrade to later version of the OS as I'm very comfortable with XP and intend to remain using it as long as possible. Luddite I may be, but a happy one. Thanks to all who offered help, tested on another hard drive with different OS and registration occurred without any problems. After pressing Activate a message came up saying it had been successful. Original installation was attempted in XP SP3 and this failed, the successful installation was in Win7. See Mariusz another XP user also had problems, so maybe it is XP causing the difficulty. Please don't tell me to upgrade to later version of the OS as I'm very comfortable with XP and intend to remain using it as long as possible. Luddite I may be, but a happy one. Salvia, It registered fine on my old XP SP3 computer. I did as Brenda recommended and clicked "Save Settings"... Mine says "Ereader book PRO". Looked in the folder you kindly showed but the license file was not there, creating my own and placed the registration code in it with and without the hyphens. On opening program it was still not registered, a shame as I could really use this program. Thank you for your help and would appreciated it if you could show exactly what was in the license file in a comment. This could possibly help but I doubt it as it is probably somewhere in the registry, a simple license file is too easy to hack. Trying 2 b Helpful, Looked in the folder you kindly showed but the license file was not there, creating my own and placed the registration code in it with and without the hyphens. On opening program it was still not registered, a shame as I could really use this program. Thank you for your help and would appreciated it if you could show exactly what was in the license file in a comment. This could possibly help but I doubt it as it is probably somewhere in the registry, a simple license file is too easy to hack. Salvia, One thing I forgot to mention- my firewall says the program does an online activation, meaning it phones home to verify before allowing the registration. Possibly try rebooting in "safe mode with networking" and try to register it then? Excellent. Delighted with the presentation of the Ice Cream Reader. A big thanks. i put the serial and press "activate" program, but program exit. When i click the icon of program next time it's still not pro version and when i put next time the serial situation repeat. Please help me ! i put the serial and press "activate" program, but program exit. When i click the icon of program next time it's still not pro version and when i put next time the serial situation repeat. I use windows xp. I used the arrow keys on my keyboard and it navigated page to page just fine. I'm using Windows 10, and did not experience any issues with the program shutting down. Also, when I went into settings and activated it, I saved settings before closing out. I noticed that got rid of the "activate pro" button. Salvia, I used the arrow keys on my keyboard and it navigated page to page just fine. I'm using Windows 10, and did not experience any issues with the program shutting down. Also, when I went into settings and activated it, I saved settings before closing out. I noticed that got rid of the "activate pro" button. Hope this helps. Tested on a PDF file that contains information about my router, WPS light out and problems with wireless connections, searched within the file for WPS and it presented a listing of the page numbers in which it is mentioned. If I clicked on the separate items in the listing it took me to that point in the document, very useful. There is an icon marked contents this opens up the contents page within the PDF file, when this is open there is also heading marked bookmarks and this only shows the one I made, not those within the original PDF bookmarks listing. One big problem is registration; when I hit activate the program shuts down and when I reopen and go to settings, then activate and still getting the message "Activate Pro Version." Cannot find any about box to check if I'm registered; yet another program where psychic powers are required. Must admit I really like this program and it could be so useful once I get the hang of its minimalistic interface. If anyone can see a way of checking if they are registered or not would appreciate any help in this area. Tested on a PDF file that contains information about my router, WPS light out and problems with wireless connections, searched within the file for WPS and it presented a listing of the page numbers in which it is mentioned. If I clicked on the separate items in the listing it took me to that point in the document, very useful. There is an icon marked contents this opens up the contents page within the PDF file, when this is open there is also heading marked bookmarks and this only shows the one I made, not those within the original PDF bookmarks listing. Having trouble navigating from page to page as have not found a way to do it yet, help file is pretty poor as it is online . One big problem is registration; when I hit activate the program shuts down and when I reopen and go to settings, then activate and still getting the message "Activate Pro Version." Cannot find any about box to check if I'm registered; yet another program where psychic powers are required. Must admit I really like this program and it could be so useful once I get the hang of its minimalistic interface. If anyone can see a way of checking if they are registered or not would appreciate any help in this area. Salvia, you just need to go into settings in the installed software, click on pro version and insert serial from readme.txt .Allow connection through firewall for activation. Salvia, sorry you're right, there is no way to tell for sure if it's activated, but i presume mine is, i had no such problem with program shutting down. Thanks; have done all that on a number of occasions, when the serial number entered and activate is pressed the program shuts down immediately. On opening the message 'Activate to Pro' still visible in the lower right of the screen. No indication that it is registered. I've registered and closed icecream ebook reader, then reopened ebook reader again, went to setting, there's no "Activate Pro Version." The only thing that I've done differently from you (I guess) is after registration (with the GOTD pro code), I clicked on the "save the setting" button, and no more "upgrade to pro version" and no more "activate to pro version". This shows that I have the pro version. Hope this helps. Thanks, unfortunately it shuts down as soon as I press the activate button so never get the chance to save settings. Going to try on another system in case it is a problem peculiar to my machine. HC, Thanks, unfortunately it shuts down as soon as I press the activate button so never get the chance to save settings. Going to try on another system in case it is a problem peculiar to my machine.